offered one or more of our parent workshops during the 2016/17 academic year. 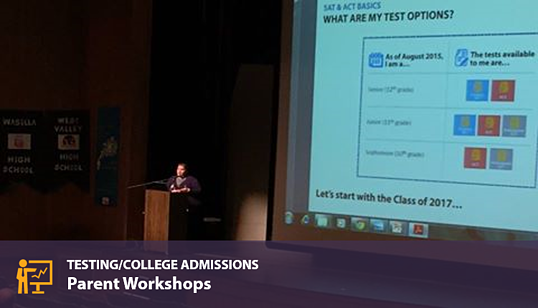 Schedule our testing and college admissions experts to present one of our signature workshops at your next parent/student/staff event. Parents and counselors trust Frontier Tutoring to provide the most strategic, actionable, objective, and up-to-date information on SAT/ACT/SAT Subject Tests and the college admissions process.